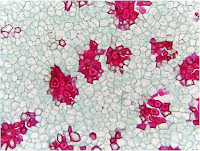 Thick, elongated, spindle shaped cells with pointed tips. 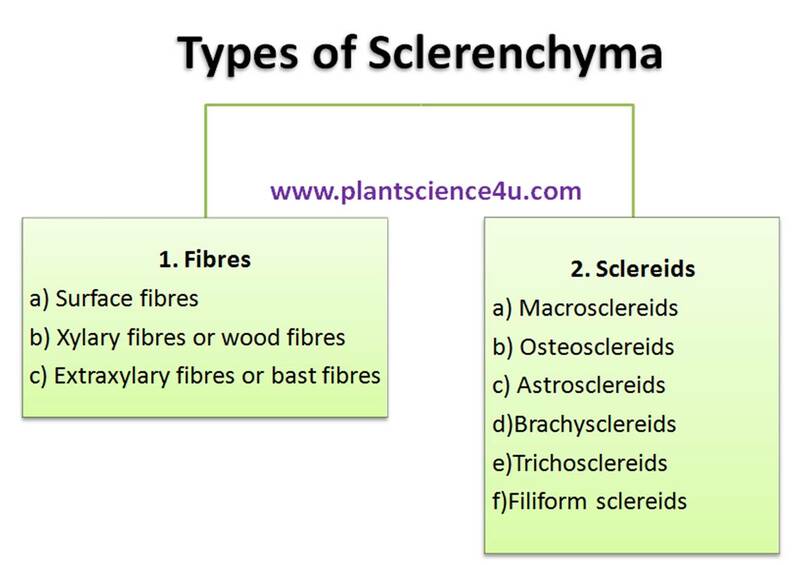 • Small sclerenchymatous cells with highly thickened lignified walls and narrow lumen. 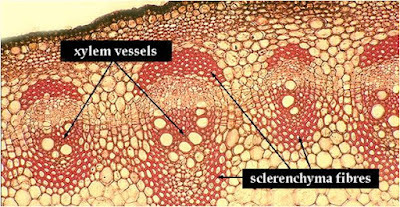 Fibrous sclerenchyma of fruits and seeds helps in seed dispersal.